In 2019, it’s safe to say that Google is the most powerful search engine available. With over 63,000 unique searches made on the platform every second and over 2 trillion every year, the search platform has cemented itself as a discovery powerhouse. For restaurants, not only does it help people find the information they want in a matter of seconds, but it also answers one of the most important questions asked daily. If you are a restaurant operator, odds are your restaurant is showing up for hundreds of Google searches queries every month within your area. And up until recently, the only way for restaurants to capitalize on this was through paid advertising on Google. This has changed though, Google now offers restaurants with numerous methods to start accepting online reservations right from within Google search. Read on to learn how to convert Google searches into materialized reservations at your restaurant. Before we dive into the process of increasing restaurant reservations through Google Search, let's first tackle the question "What are Google Reservations?" Over the years, Google has introduced a number of ways for restaurants and businesses alike to make reservations, appointments, deliveries, etc. right from Google Search. Let's take a look at three of the most powerful methods of generating online reservations through Google for restaurants. First piloted in 2016 to select cities across America, Reserve with Google was officially expanded in late 2018, allowing businesses in a variety of industries to accept reservations directly from within Google Search, Google Maps, or by using the Google Voice Assistant. Why is this such a big deal for restaurants? Typically, for restaurants to receive reservations from Google Search, they'd either need to rely on paid advertising, Organic traffic, a link to their website in their Google my Business Profile, or from their Google Posts. The one problem with all of these methods is the friction it adds to the experience. 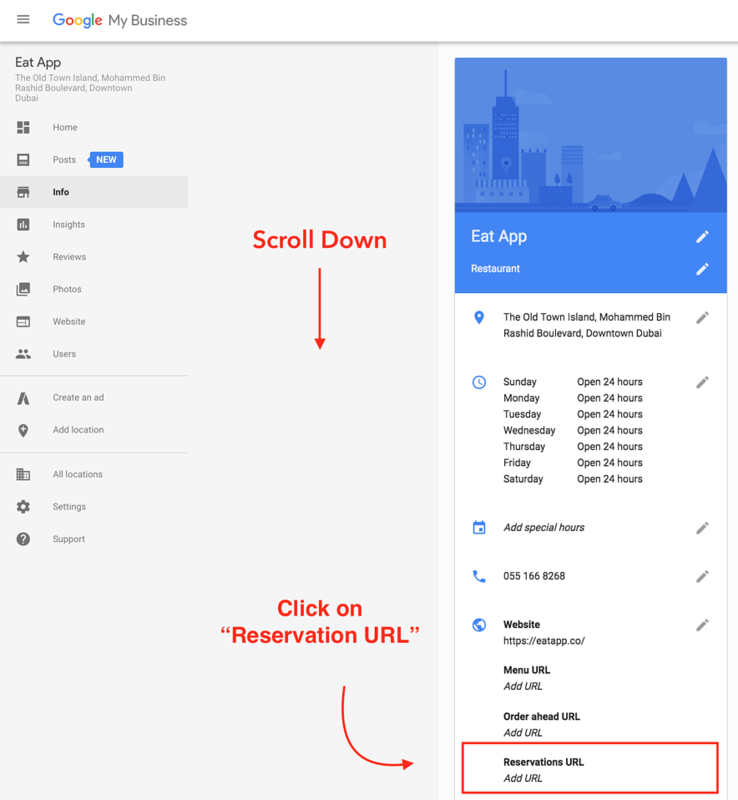 Instead of asking your potential customers to load your restaurant website or 3rd party booking widget, Reserve with Google lets them make table reservations directly with a clean and seamless experience that helps minimize the drop-off rate when booking. Reserve with Google also directly integrates with your reservation partners meaning that customers are only able to book tables when there are free ones available. When your restaurant is fully booked, it will auto-suggest alternative dates. For restaurants that do not work with a "Reserve with Google" partner, all hope is not lost. Google also has the option to edit links within your Google my Business profile. Which any business can do on their own. These links need to be tied to certain actions though. Potential customers searching for your restaurant or business can be directed to your website or booking widget through these call to actions right from your Google my Business profile. 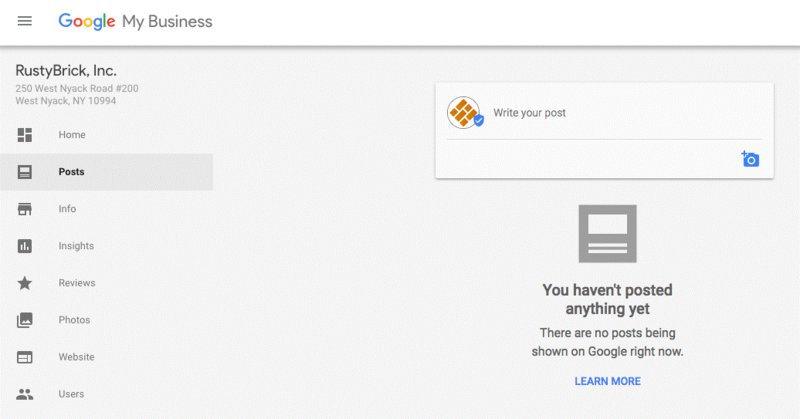 The third and final way to generate reservations at your restaurant from Google is through Google posts. Google posts are a quick and easy way to share relevant, fresh content with all the people searching for your restaurant on Google. A great channel for marketing your restaurant for free. Google allows you to use pictures, short videos, and even GIFS to engage your audience in ways you couldn't previously. This allows restaurant owners to create a direct channel of communication between themselves and potential customers directly from Google Search. Anyone who searches for your restaurant on Google will be able to see these events and make a reservation instantly. Google Posts add even more screen space for your restaurant in the search results page. Google Posts take up a large amount of the screen as well-being near the top of a typical restaurant search. Taking advantage of this prime screen real estate is an added way of standing out in search results. Why are Google Reservations important for your restaurant? Adding reservation links to your Google profile can be valuable for a number of reasons. Google Business pages drive an immense amount of traffic as they appear at the top of search results. Compared to regular search results they take up a lot more screen real estate – especially on mobile. Many people will never visit your website because they will get all the info they need from your Google profile. 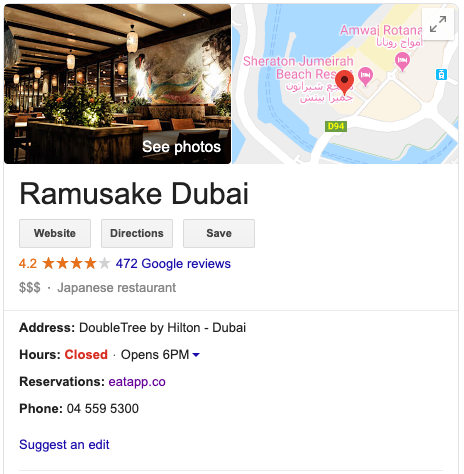 Restaurants that add booking links to their Google Business see that 20% of their online bookings come from these links. Features that are built into these booking links help prevent no-shows and double bookings. How to set-up reservations with Google? The process to add reservations to your Google profile is not a complicated one. 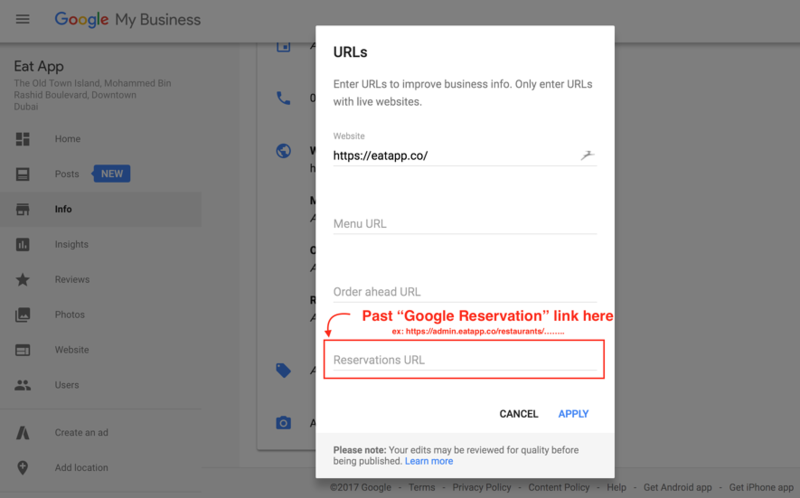 Read on for a step by step guide to adding reservation links to your Google my Business Profile. Sign in to your Google My Business account. Click here to learn how to create a Google My Business account for your restaurant if you don't already have one. If you have more than one listing, choose the one you want to edit. Click the URLs section, which depending on what business category you are in might show additional URL options. Enter your booking link into the Reservation field. The entire process is simple and can be completed in less than five minutes. Once your listing is claimed, go to your Google business account and click on “Posts on the left-side menu. Adding a Reserve with Google button to your restaurant's Google my Business profile is not as straightforward as the two methods above, but it is also the most helpful of the mentioned strategies. To add a Reserve with Google button, you will need to be partnered with a restaurant reservation or table management system that is an official Google Partner. Once this is complete, your Reserve with Google button will automatically appear in your profile, without you having to do anything. Restaurant Manager by Eat is an official Reserve with Google partner. Try our 1-month free trial to learn if our restaurant reservation and table management system is right for you. Your 1-month trial will automatically end after 30 days. No credit card required. No strings attached.